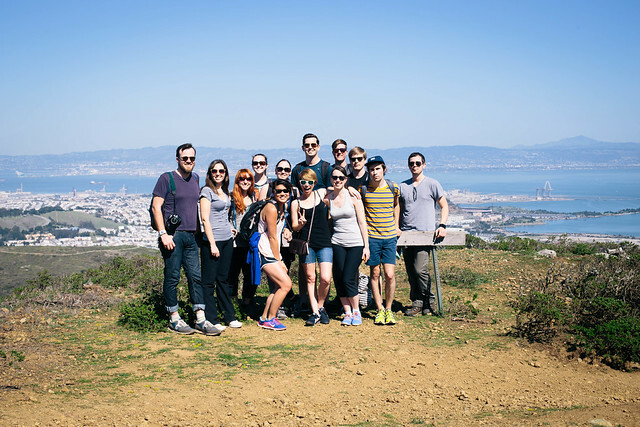 Last year’s birthday hiking adventure was so successful, that for my 27th birthday we drove to South San Francisco to conquer my last large San Francisco park – San Bruno Mountain State Park! 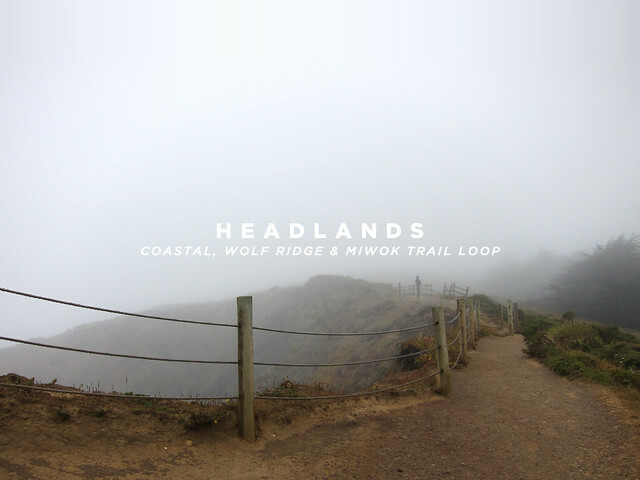 Last June Bert, Iris, Chris, and I did the the Coastal, Wolf Ridge, and Miwok Trail Loop in the Marin Headlands. At the time it was so foggy (and eventually rainy) that we never saw any of the beautiful vistas we knew were there and vowed to return. The perfect opportunity struck when David Hamilton came for an interview in Mill Valley. David, the sporty person that he is, was pumped to hike with us – but none of us knew what we were in for. 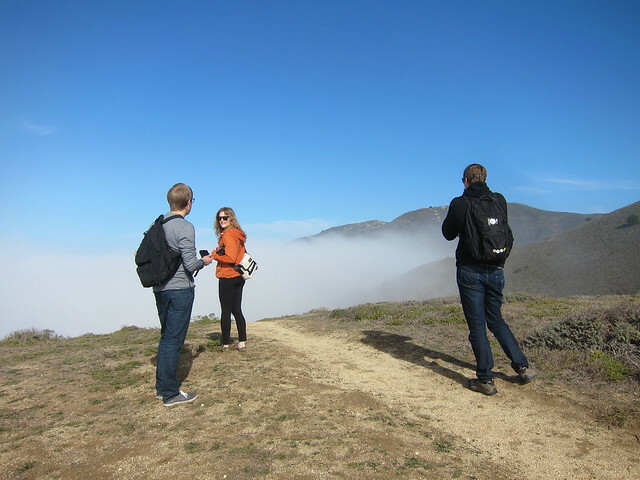 On Martin Luther King Jr. Day (January 20th), Sam, Allison, Chris and I traveled to Pacifica for a fog-filled hike. A brief moment of sun. 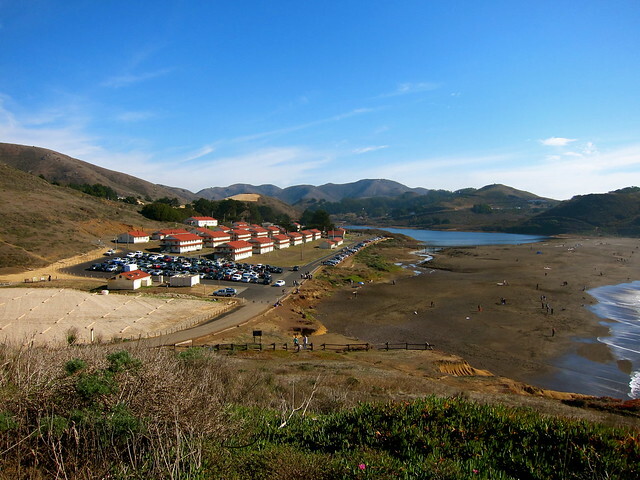 Año Nuevo State Park. Photo by Chris. 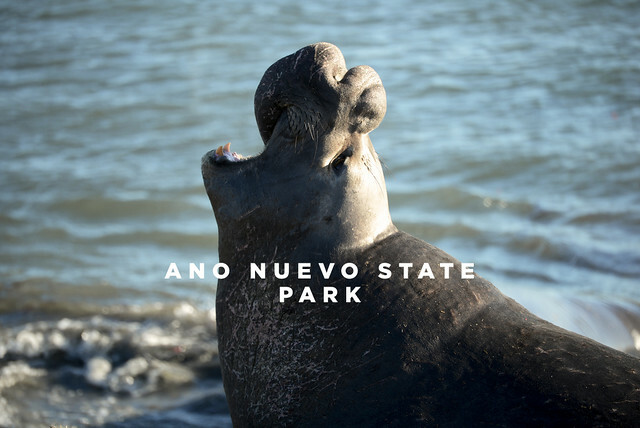 During our tour of the Marine Mammal Center for my birthday last year, the tour guide mentioned that you can witness Elephant Seals mating in December through early February down the coast at Año Nuevo State Park. At the time I was bummed because it had literally just ended, but I kept a mental note to make sure we wouldn’t miss the upcoming season. Chris and I had seen recordings of their bloody battles on the BBC’s Life in the Freezer and hilariously mocked on Futurama, so we stoked at the chance to witness it in real life. Angel Island is my favorite park. It’s full of natural beauty and wildlife, rich in history, and small enough that you feel like you can conquer it in a day. Before camping on the island, I visited 3 times and each time I learned something new. However, when I started planning our camping trip to Angel Island I was surprised by the lack of information easily available. I found a few first hand accounts and a couple poor quality pictures, but even the pamphlets available on Angel Island didn’t contain everything a camper might want to know. The only way to really know is to go, but I’m going to attempt to capture all of my learnings so that your future Angel Island camping trip is the best it can possibly be. Group shot. Photo by Allison. 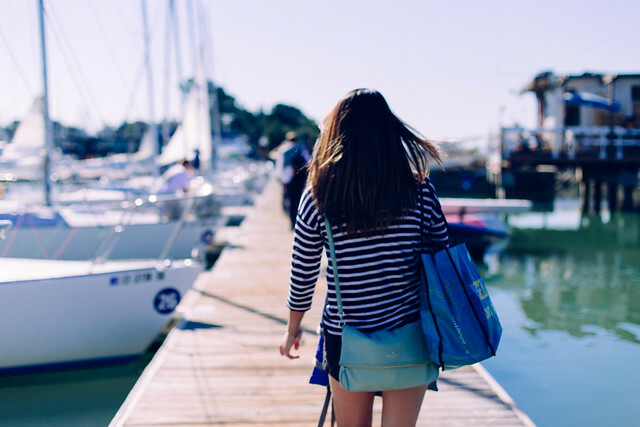 On a rare 88°F day in San Francisco, Captain Emily took us on a sailing adventure in the bay. We started at the Berkeley Marina, slowly sailed over to Angel Island, hung out on the island and celebrated James’s birthday on the boat, sailed to the Golden Gate Bridge, and did a giant loop past the city, around Yerba Buena Island, under the new Bay Bridge back into Berkley Marina just as the sun set. It is in my top 5 days in San Francisco and thankfully Allison and Chris took beautiful photos so I can share it with you. So beautiful….how lucky you are to have a friend that knows how to sail a boat! It was only a matter of time before I found Walk SF. The more I traverse the city, research it’s history, and educate others the more connected I feel. San Francisco is a great place for walkers. Most of the time I can get where I want to go faster by foot than MUNI and, with our abundance of hills, the walk usually results in a beautiful unknown vista. Unfortunately walking can also be dangerous – whether it be the fear of being hit by oncoming traffic on a poorly marked crosswalk or the fear of being harassed by the homeless walking in a questionable neighborhood. I discovered Walk SF when I went to the screening of Better Market Street Project‘s documentary at the Public Library. They talked about making San Francisco a more livable, walkable city and reclaiming streets as shared public space for everyone to enjoy. Everyone can get behind that right? Even more intriguing was their pamphlet to join them in a city-wide walk, 12+ miles and 10 peaks in 1 day known as Peak2Peak. Summer in San Francisco means fog. Karl, much like a returning summer intern, arrives mid-June and hangs around through most of August. Last weekend Iris and I planned a hiking trip in the Marin Headlands only to arrive at Silent Hill. Determined to hike through fog (and eventually rain), we managed to complete the Coastal, Wolf Ridge, and Miwok Trail loop – starting at Rodeo Beach. 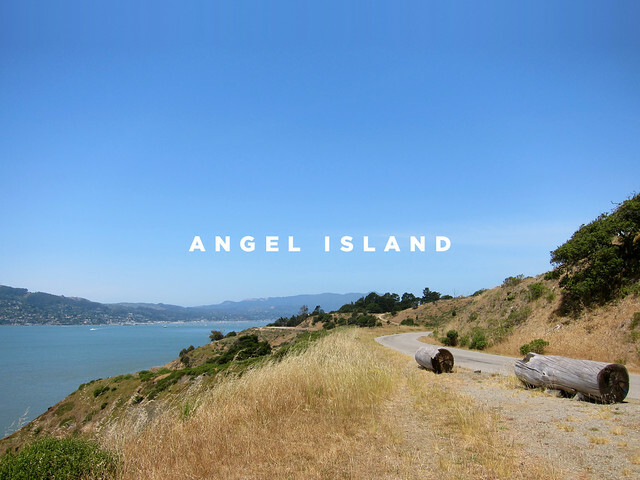 Angel Island is a state park and historial landmark in the San Francisco Bay. 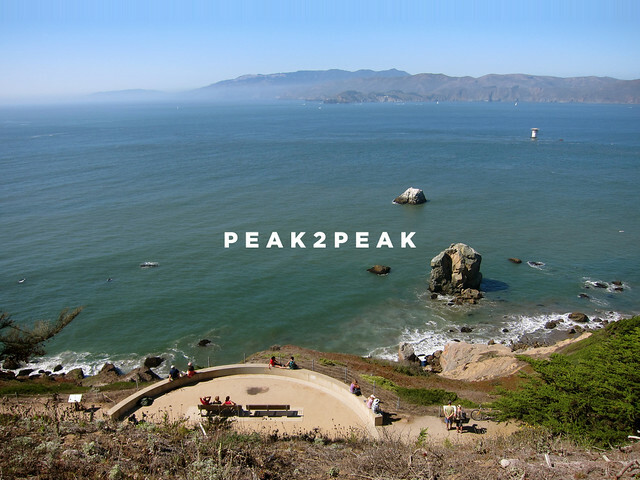 Roads and trails around the grass-covered mountain island boast spectacular views of Marin County, Mount Tamalpais, Oakland, San Francisco, and the Golden Gate. 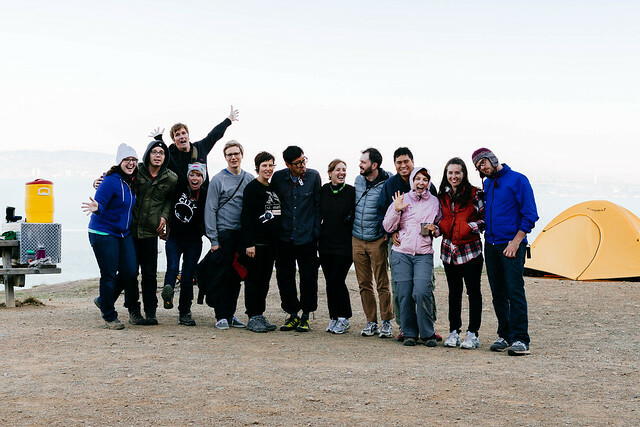 Hmmm…maybe Camp Reynolds moved from Massachusetts to California to get away from your troop! Great write-up! Can’t wait to see the camping story. 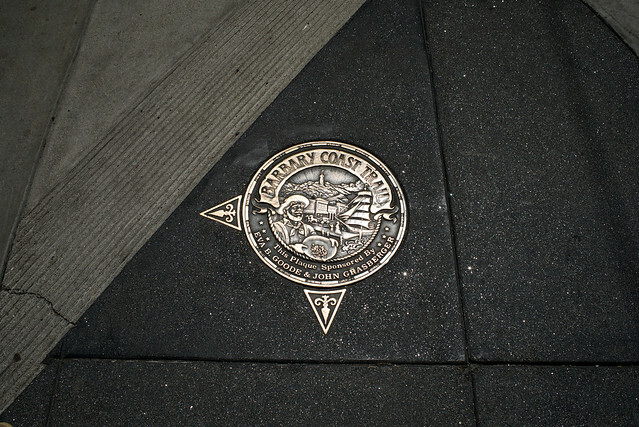 The Barbary Coast Trail is a walking tour connecting 20 historic sites and local history museums. The sites tell the story of the California Gold Rush of 1849 to the Earthquake and Fire of 1906, when San Francisco grew from a small village to the busiest port on the West Coast. The 3.8 mile trail is marked by approximately 180 bronze medallions embedded in the sidewalk. If you’ve ever gone shopping in Union Square – I guarantee you’ve seen them. That’s crazy that you experienced the 1989 Loma Prieta earthquake here. You must know of the city as a totally different place. They’re currently doing an Earthquake exhibit at the Cal Academy (in GGP) where you can experience how the 1906 & 1989 earthquakes felt. Pretty scary! Was the earthquake a reason for you leaving? I’ve never heard of The Bermuda Triangle or The Golden Gate. I checked Yelp, but they both seem to be MIA. Were they near Union Square?